After some discussion with fellow Thompson book writer Rick Mattix and the helpful Dee Cordry, we voted that the following might be of interest to the knowledgeable OklahombreS readers. Writers have churned out much on Frank Hamer’s skill with guns, not enough about his ability as a detective, and almost nothing about his thorough knowledge of firearms. Most of this article springs from research for an article on Bonnie and Clyde which will appear in the July issue of Machine Gun News and will be subsequently included in the new Thompson book edited by Tracie Hill. Some of this drops from a fortunate experiment done by a friend of mine in 1939. Finally, a small part of this comes from having spent the last 23 years in the good company of State Troopers, those most adaptable of lawmen. Rangers Hamer and Gualt patrolled on horses before they got cars. History records numerous examples of Ranger adaptability with the most famous being called Patterson and Walker. When Lee Simmons and Ma Ferguson put Frank Hamer on the trail of Bonnie and Clyde, the Ranger not only changed his car but his guns. The legendary lawman always carried a rifle and a .44 Triple Lock Smith and a C engraved single action .45 Colt called “Old Lucky”. Frank Hamer believed justifiably that he could hit any target and had proved on numerous occasions that he could kill any target that was shooting at him. Given that Hamer had supreme confidence in his ability to equal anyone in a gunfight, the formidable lawman would not have changed the guns he was comfortable with without a very good reason. Since he kept “Old Lucky” and changed the other two guns, I believe that he had a very good reason and that reason was penetration. I believe that the savvy Ranger knew that Clyde’s thick bodied V8 Ford was, to all but high powered guns, an extremely fast and bullet-proof car. Hamer may have suspected body armor. Hamer chose guns comfortable to him that would pierce the body of the V8 Ford and the bulletproof vests sometimes worn by lawmen and outlaws of the day. The two guns Hamer bought were both semi-automatic. Given his mission and the level from which it was launched, Capt. Hamer could have had any weapon he wanted. He selected for his rifle a Remington Model 8 in .35 caliber. For his pistol Hamer chose what has often been described as a .45 Colt automatic. This writer has never believed that the Colt was a .45, but more about that later. Frank Hamer had owned an engraved Remington Model 8 in .30 caliber for years and knew well the excellent qualities of the weapon. He opted for a larger caliber to deliver more punch to the target. He ordered the standard .35 from Jake Petmeckey’s store in Austin, Texas and was shipped serial number 10045. Hamer also contacted the Peace Officer Equipment Company in St. Joseph, Missouri for it’s “police only” 20 round magazine for the Remington rifle. 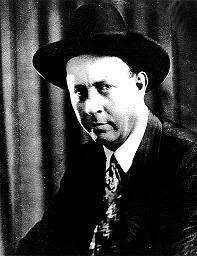 Some years ago Frank Hamer Jr., a distinguished lawman in his own right, gave a filmed interview in which he showed the nimble .35 that his father had bought especially to go after Bonnie and Clyde. As to the rifle’s ability to tear holes in a V8 Ford, Frank Hamer had an unimpeachable source – Clyde Barrow. Though Clyde and Bonnie escaped the Sowers ambush by Dallas County authorities in November of 1933, Clyde ditched his shot up car near the Ft. Worth Pike and commandeered a less damaged car to make good their flight to freedom. The abandoned V8 spoke volumes to the able lawmen of Dallas County and to the Rangers. Ted Hinton had hit the car 17 out of 30 shots with his Thompson submachine gun and hadn’t penetrated the car body. Veteran Deputy Bob Alcorn had chugged away with his hefty Browning Automatic Rifle and ripped some respectable holes all the way through the car. Hinton called his Congressman, got a BAR from the government and a back seat full of ammunition, and learned how to shoot the roaring automatic rifle. A friend of this author who sold Thompson submachine guns in the 1930’s and 1940’s proved Leslie Homer’s assertion in 1939 although he had never heard of Leslie Homer or his assertion. After an afternoon of shooting with another associate and a local policeman, my friend and the other man were dared to shoot the policeman in his bulletproof vest. The other man, armed with a .38 pistol, shot the policeman and knocked him to the ground but did not otherwise injure him. My friend was equipped with a .38 Super, and, more sense than the other two. He told the policeman that be would shoot the vest if he put it on a post, which the policeman did. My friend said the .38 Super cut a hole in the vest as neatly as a drill press. Had the policeman been wearing the vest he would have been killed instantly. This story teaches two lessons. First, a contemporary gun using contemporary ammunition blew a hole in a gangster era bulletproof vest. Second, my friend was knowledgeable of guns in the 1930’s. So was Frank Hamer. Several months ago, this author was discussing this story with friend Mike Thacker. Thacker said he had something tucked away in his files that might help. Two days later, Mike handed over a copy of Guns and Ammo’s “Handguns for Sport and Defense” magazine. In this March 1992 issue, Jim Wilson tells of an interview with Frank Hamer Jr. in which Mr. Hamer confirms that his father’s Colt was indeed a .38 Super. Mr. Hamer’s comment that his father did not particularly like automatics seems to hammer home the thought that the Ranger picked the gun for a reason. Finally, at about 9:15 in the morning of May 23, 1934 while the rifle smoke still hung in the air, the gun Frank Hamer held in his hand as he approached the bullet riddled 1934 Ford V8 was the .38 Super. Should either of the murderous pair still have breath in their bodies and strive to fire one more defiant round, the legendary lawman was packing iron that would go right through the car body. Most printed lists of the death car’s armament list a number of .45 automatics. Ted Hinton, in his book “Ambush”, declares that two of the colt automatics were .38 Supers. On the subject of penetration it seems that Clyde may also have known. It’s for damn sure that Frank Hamer did. also, Rick Mattix, Bussey, Iowa; Janice A. Reece, Waco, Texas; Bob Weesner, Dexter, Iowa; Joyce Hick, Stuart, Iowa; Larry Joyner, Arcadia, Louisiana; James Ballou, Salisbury, MA; Tracie Hill, Newark, OH; Jim Foster, Dallas, TX; and Vida Ford, Hot Springs, AR . This article was originally published on the Oklahombres site. Since that site has gone down it is impossible to provide a source link for this material.